Just a short drive from Sarasota you’ll find Siesta Key, one of Florida’s best destinations and, until, recently, a well-kept secret. There you’ll find eight miles of sun-kissed sand, mouth-watering cuisine, and some of the best golfing and nightlife venues in the Sunshine State. That’s not just our opinion. It’s the verdict of “Dr. Beach” himself, Stephen Leatherman, the world’s foremost authority on sand quality, as well as Director of the Laboratory for Coastal Research at Florida International University. For over 20 years he has rated the top beaches in the United States according to 50 painstaking criteria, including softness of the sand, clearness of the water, and beauty of the surrounding environment. 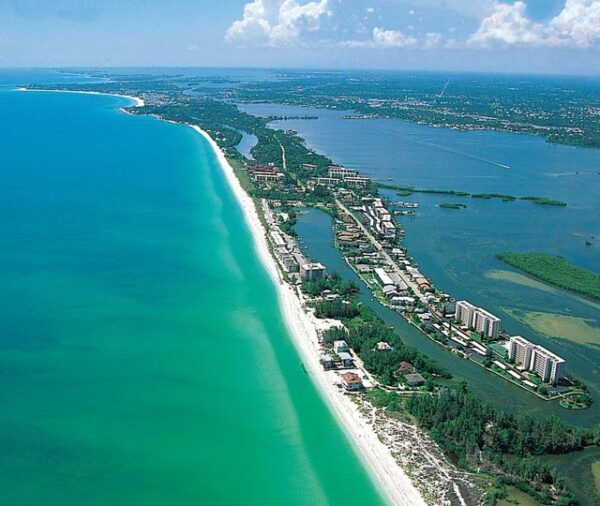 In 2011 the shores of Siesta Key reached the top of his list. Our sands are composed of 99% pure quartz and are always cool to the touch, even on the warmest summer days. Their pure white color led the Travel Channel to declare in 2004 that we have the best beach sand in America. Our island is home to an amazing variety of beautiful birds, including pelicans, storks, spoonbills, herons, cranes, and egrets. Dolphins and manatees frolic just off our shores, and our sub-tropical climate blesses us with countless species of wildflowers, plants and shrubs, as well as many different kinds of tropical trees. Anywhere you go you’ll be close to spectacular natural beauty, so whatever you do, don’t forget your camera! The right lodging makes even the best vacations all the more enjoyable. So, when you visit our area, please make our property your home away from home. Browse our fine selection of rental units online, then make your reservations using our safe, secure website. We look forward to welcoming you to our island home.